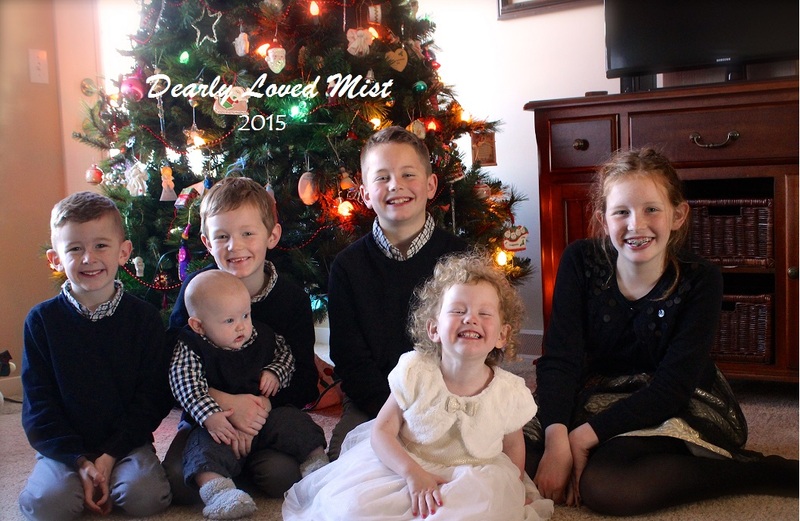 dearly loved mist: Gramma Robin to the Rescue! My mother-in-law, Robin, comes on Tuesdays to spend time with the kids while I run (not literally, believe me) my errands. Basically, I save most of my running around for this one day during the week. Which is quite wonderful, really. 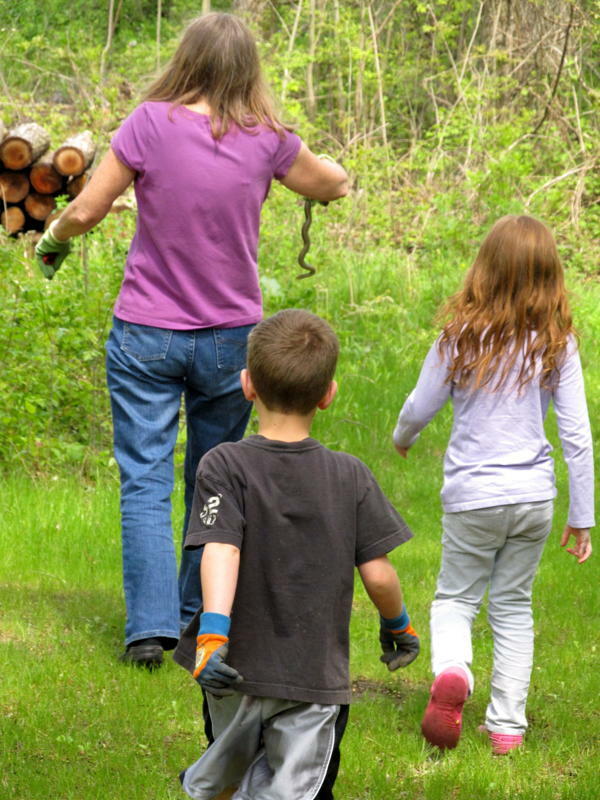 The kids enjoy Gramma-time, Gramma enjoys kid-time, I enjoy getting-everything-done-in-one-day-time. It's pretty much a win-win situation-time. Gramma Robin was here all day today while I did my usual running. She just so happens to enjoy gardening, which is convenient since my thumb is officially purple. 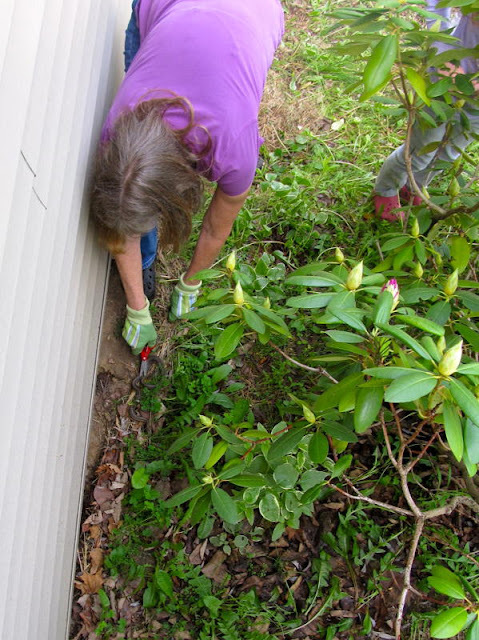 She often helps me out by weeding various areas around the house that grow...weeds. Apparently there are a lot of those areas around my house, which is quite a bummer, really. Today she was weeding our front hill (for FUN, folks. She thought it was fun...) which was starting to resemble the edge of the highway with the tall-as-your-toddler-weeds that had obviously taken a strong liking to our shade and clay. As she was weeding, she came upon this devilish fellow all wound up in the netting that we laid last fall in our attempt to grow something (weeds) on the hill to prevent erosion onto our driveway. 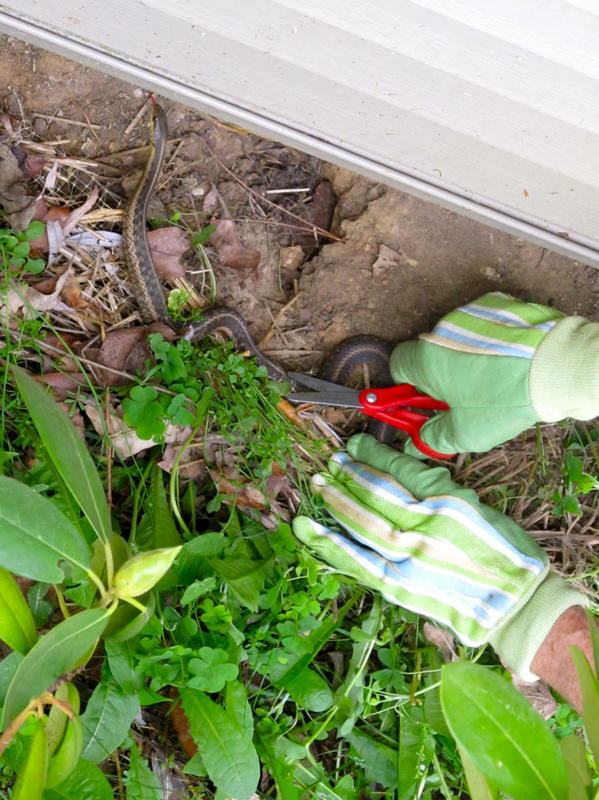 So, she did what any kind person would do: began the process of cutting it out of the netting. 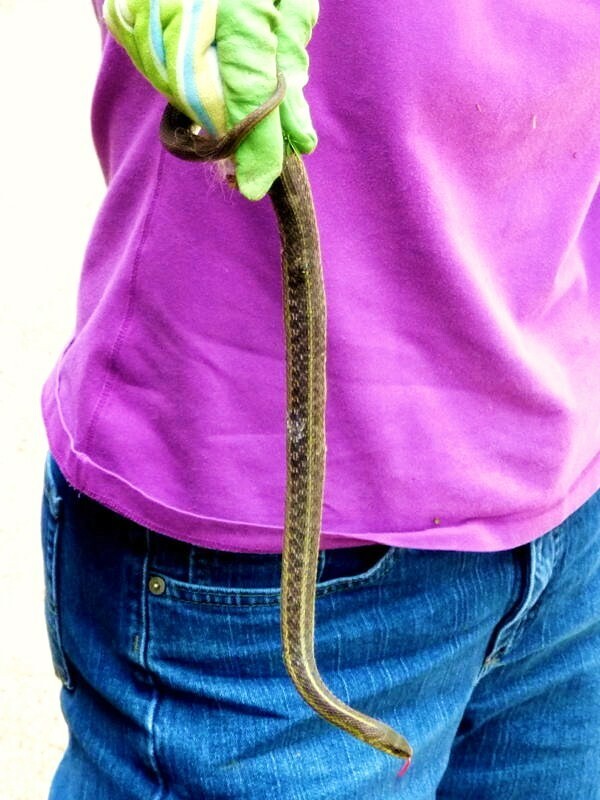 I did what any scared-of-snakes person would do: stood far away and took pictures, offering every now and then (when it was looking like that snake was just a little too stuck and it was taking a little too long to get him out) to chop off the snake's head. I thought this was reasonable. My kids were appalled. "Mommy! How could you?! Don't do that! The poor snake!" Good thing Gramma Robin was here. Otherwise, the snake would have been in not one, but two pieces, and my children, who immediately founded the Snake Lovers Association (SLA), would have had a seriously hard time forgiving me, even though it would have been necessary because that's a command in the Bible, given by God, and you can't argue with that. If you do, well, you're in trouble. "No, it's too dark over there. Hold the snake out a little bit. Nope. Over there. Hold on...a little higher. Okay, got it!" After the portrait shot was over, Gramma Robin, followed by the faithful SLA returned the intruder to his natural habitat: My yard, thank you very much. 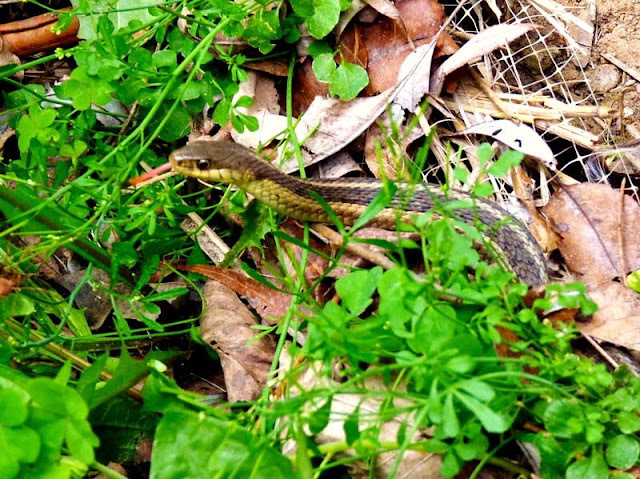 If that snake wants to keep his head on his shoulders...er...um...his long scaly body, he'd better stay out of my beautiful, weedy garden...area...thing. His only hope would be the SLA: Ardent Protectors of Snakes in the Yard. Thank you, Robin, for rescuing the trapped snake for the sake of my children, who would have had a hard time obeying the Lord's command to forgive their mother. Oh Heidi! hahah I love this post! Crack me up. :) May I join the SLA too?? 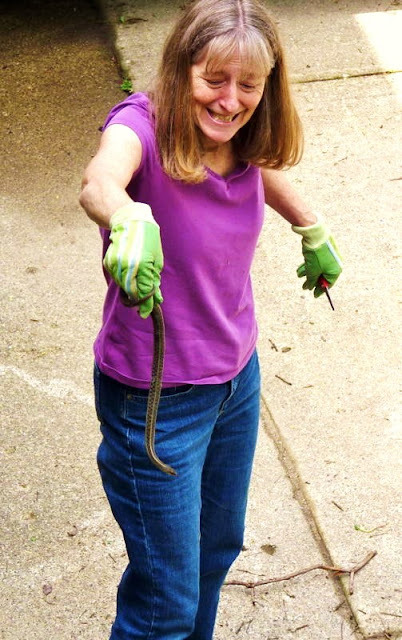 Oh my word she held the snake! Brave, brave Gramma! I would have been taking pictures too, very, very far away! Does the SLA have shirts? I'll buy one!